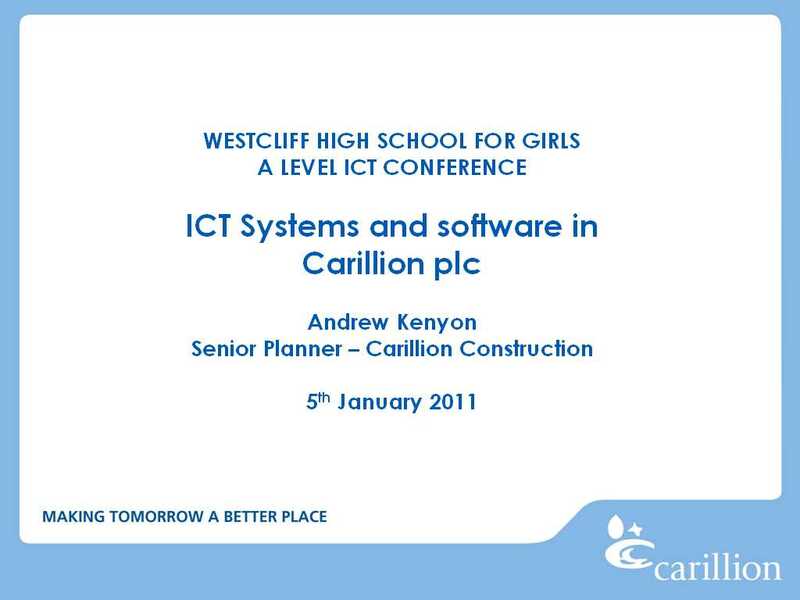 On Wednesday afternoon I was at Westcliff High School for Girls as a guest speaker at an ICT conference aimed at A Level ICT students. 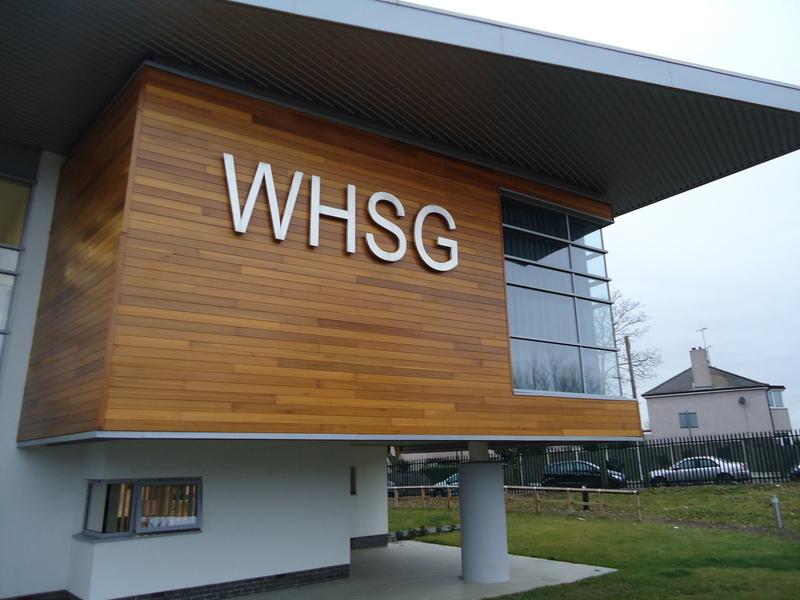 The event had been organised by WHSG for their own students and for students at other local schools. It was held in their new English Block in their excellent conference room which has great IT and other facilities. My presentation was very visual – most pictures and little text – and was pitched for a student audience. My 20 minute presentation included 99 slides and a 3 minute movie and so was given (without notes) at a jolly pace! All the presentations were very interesting and provided me with good CPD as well as entertaining and educating the students who came. I was surprised (although maybe on reflection I shouldn’t be) on how similar the IT/IS setup was between HSBC and Carillion. I guess all large organisations have the same needs and issues and use solutions provided by big suppliers. As such it is likely that there would be significant similarities. Professor Folkson’s talk was very interesting. He spent part of the talk discussing the amount of computing power in modern vehicles, and how reliable these systems are in comparison with more day-to-day operating systems and softwares from well known market leaders! He touched also on computer aided design of vehicles and the ability to virtually crash test new vehicle designs for instance. This promoted an interesting personal discussion with Richard on the amount of computing power required to do the FE (or similar) analyses needed – quite a lot. Caroline’s presentation was also particularly interesting. She mentioned the additional complexities of ICT when working in the defence industry that we don’t need to consider to the same degree in civvy street. The main thrust of her presentation was on sensing systems for wide ranging military applications and the ICT involved therein. An interesting point was the need to make systems easy to learn to use and to be very intuitive to the point of using display and graphic types with which many people are already familiar eg joysticks, smartphone touch screens and video game controllers. The other presentations were similarly interesting and enlightening and I thoroughly enjoyed them. The event was very well organised and held in excellent facilities. Congrats to all involved.